As the Senior Executive Assistant Dean, Dr. Brown built and serves as the Academic Director of the Innovation & Entrepreneurship Program and Cross-curricular Education, the Executive Director of the Shoemaker Innovation Center, and the point of contact for strategic discussions related to the commercialization of faculty research. Dr. Brown also holds a special academic appointment as an HCI/d Core faculty member, which entails teaching Design Strategy and Strategic Design and serving as a faculty advisor for the HCI/d Master's students, as well as the Co-Director of the Grant Thornton Institute for Data Exploration for Risk Assessment and Management (GT-IDEA). In addition, he is the faculty advisor for the Ideation & Creation Entrepreneurs (ICE), the Shoemaker Scholars, and the Product Management Club. 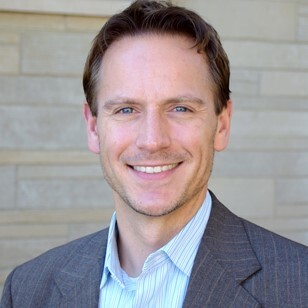 Prior to returning to Indiana University to pursue his doctoral degree, Dr. Brown spent his career within the intersection of business and technology, focusing on performance management, entrepreneurship, corporate innovation, business analytics, software development, and interaction design in corporate and small business settings.